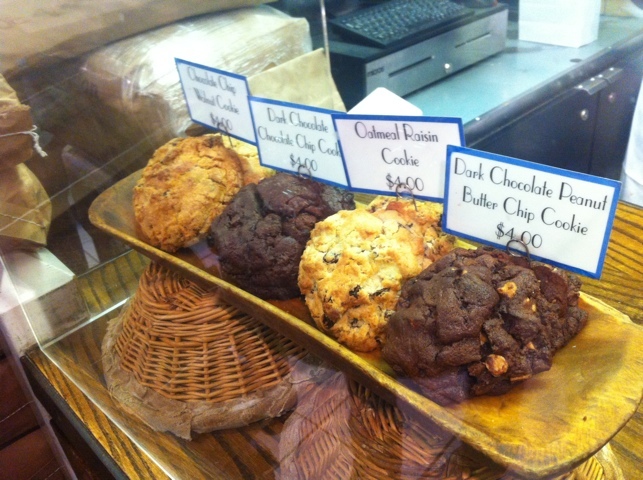 Levain Cookies Are Excellent. Yes, Please! 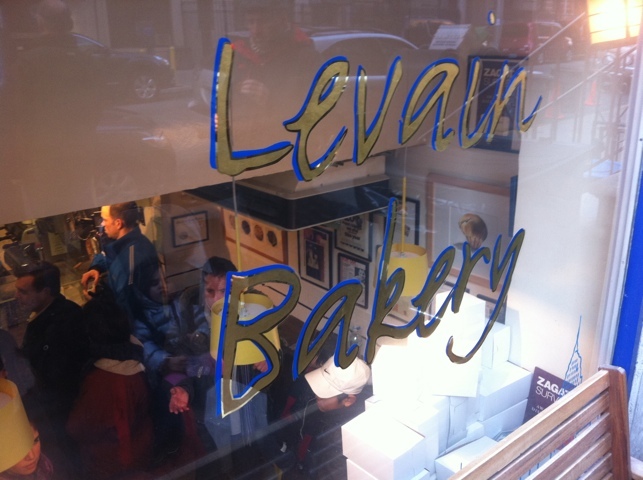 The window of Levain. Crowds within. In my previous post on Insomnia Cookies, I mentioned I would get to my preferred vendor of specialty cookies. There’s none better that I know of in New York than Levain. Not everyone could fit in the shop. Obviously, I am not the only person to have figured this out. A trip there this weekend left me stuck behind a large crowd gathered at the shop. In fact, it was the most people I’ve ever seen there at one time. Trying to get a cookie. Mob scene! 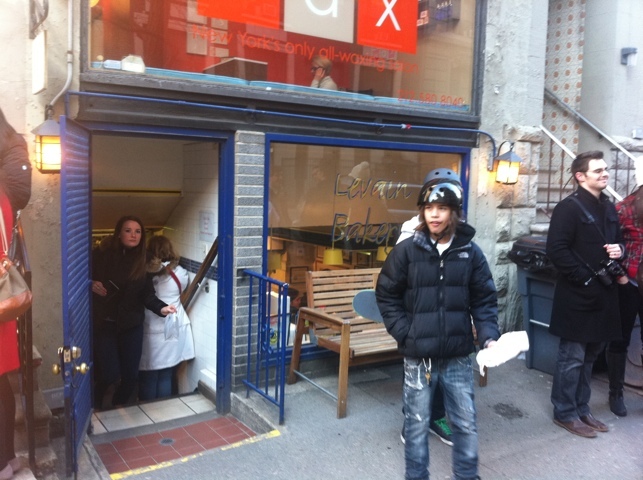 The shop itself is tiny, rivaling Underground Lunch in its diminutive stature. It’s difficult for three people to stand at the counter, let alone the large clutch of people that were there at this occasion. Now that's what I call a cookie... . The cookies are worth it. Look at them. They are as big as your fist. If you get them when they’re fresh out of the oven, they are also warm and easily breakable. Like everything else, they harden up a bit over time. One cookie can easily serve two people. 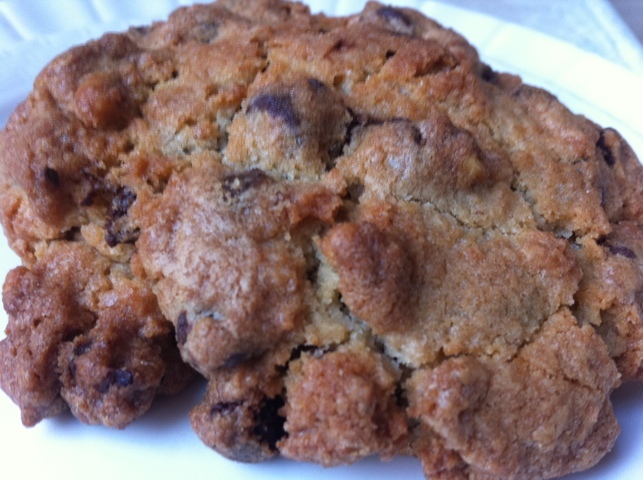 So if you’re looking for a good specialty cookie, start here. They’re awesome. Incidentally, they come in four flavors (oatmeal raisin, dark chocolate chocolate chip and dark chocolate peanut butter chip), but I stick with the chocolate chip walnut, myself. 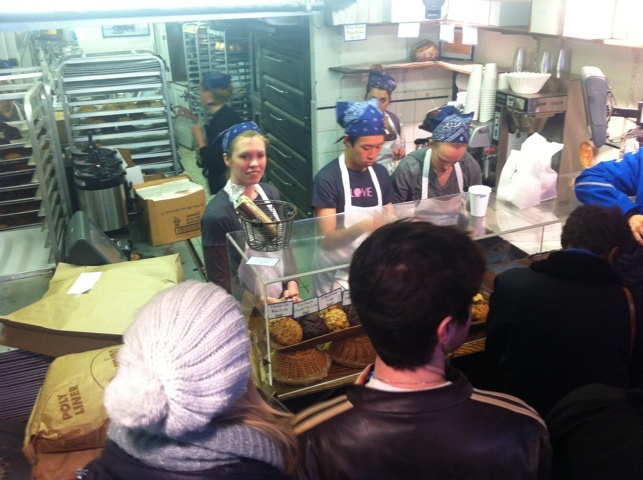 ← Insomnia Cookies. Next Time I’ll Sleep In.